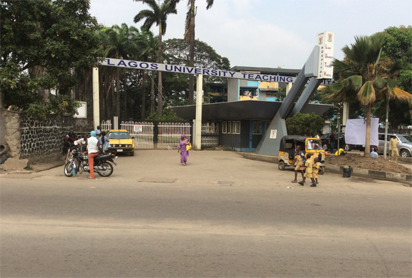 A total of 945 matriculating students of the Health Information Management of the Lagos University Teaching Hospital, LUTH, Idi Araba have been urged to remain focused and stay away from vices that can make them a public nuisance. Giving the charge during the matriculation ceremony for the 2018/2019 Academic Session held in the hospital premises, the Principal, School of Health Information Management, Mr Ojo Taiwo Olofinluyi, observed that all over the world, graduands of health information management are in high demand, hence they need to be serious with their studies. He said the course deals with creating, distributing, utilising, maintaining and giving reports about patients in connection with services rendered in the hospital. “They are the first set of people patients see each time they visit the hospital.” he said. Speaking, the Chief Medical Director, LUTH, Prof. Chris Bode, represented by the Chairman, Medical Advisory Committee, Prof. Fasanmade Olufemi charged the students to maintain law and order and refrain from any form of vice as enunciated in the school bylaws. “Today, Nigeria and the world at large are infested with vice, and it is also worrisome that our youths have lost the virtues of hard work, honesty, punctuality and sense of morality in general. “This being the case, the conclusion one can draw is that most of the agencies of socialization have failed in their duty of molding the character of the young ones. “Therefore, during your stay here, your lecturers and support staff shall through their exemplary lifestyles take you through moral training. “I admonish you to steer clear of cultism, hooliganism and other forms of social menace,” he said. Earlier, in her welcome address, Deputy, Medical Advisory Committee, Adetele Daramola, noted that the school has two programmes, National and Higher Diplomas and have been duly accredited by relevant agencies. She added that the school was working in partnership with the college medicine, University of Lagos for a degree programme in health information management.